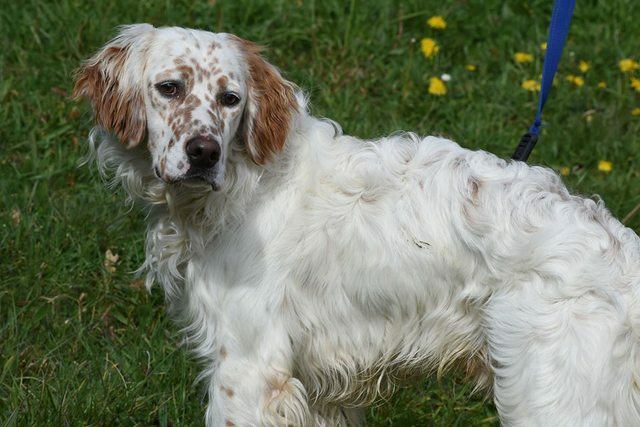 Tommy is a 1 year old male English Setter. This stunning boy was found roaming on the streets and we were asked to help. 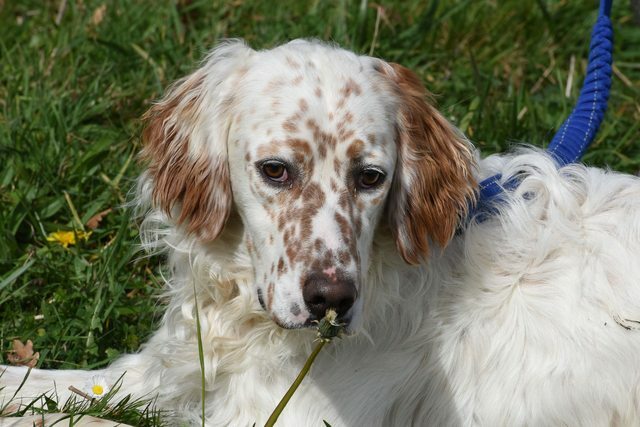 He is now sharing an outdoor space with a Pointer cross called Dino (see video). He’s in central Spain and it gets very cold at night and although the wonderful girls helping them have made them the cosiest bed they can do we’d love to get him out asap and into a home. 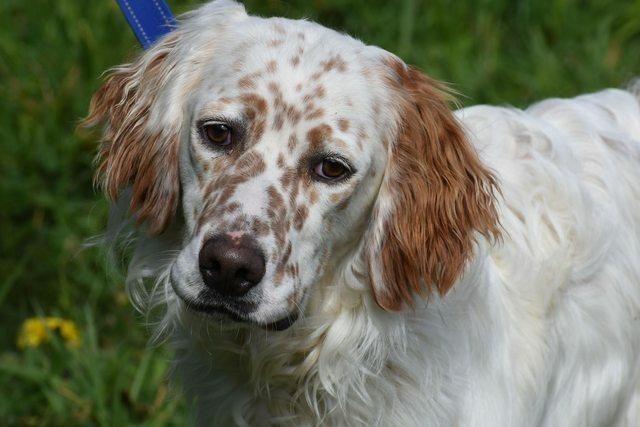 The lady who feeds him says that Tommy is just wonderful, whoever adopts him will have won the canine lottery. He’s submissive with the other dogs but gets on well with them. He’s a bit nervous of people at first but not overly scared and is really affectionate once he knows you.